Holy Smokes! 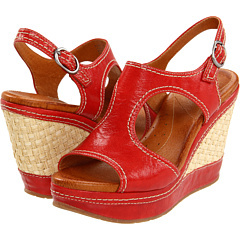 Crazy cute wedge! This one may seem high, but the heel is only 2 1/2 inches on top of the 1 inch platform. Not for those with weak ankles! 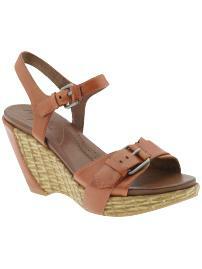 A nice sandal to wear on vacation or dressier times when standing for longer periods is required. Thanks Naya! 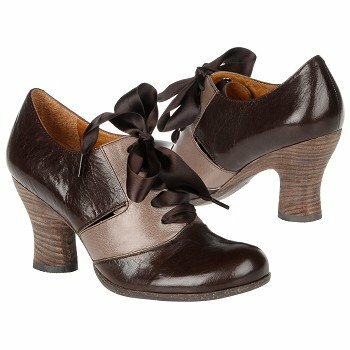 This one is made with vegetable tanned leather and recycled ribbon laces and cork bottom. Not for those with ball of foot pain, as it is too high and flexes too much. BUT, the wide toebox is lovely for wiggle room, plus the lacing vamp prevents slipping on the heel. Whoa! 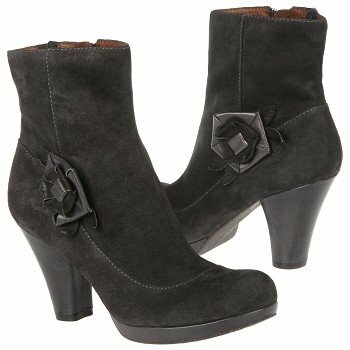 These boots rock it! 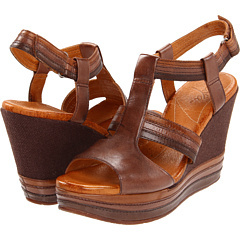 Crazy cute retro style with a platform sole. A great toebox which won’t pinch and a rocker forefoot to offload the ball of the foot. Check out their black version, too! Here is an eco-friendly style for the wider foot. Made with Bamboo, recycled cork and water soluble glues and cements. Yay!